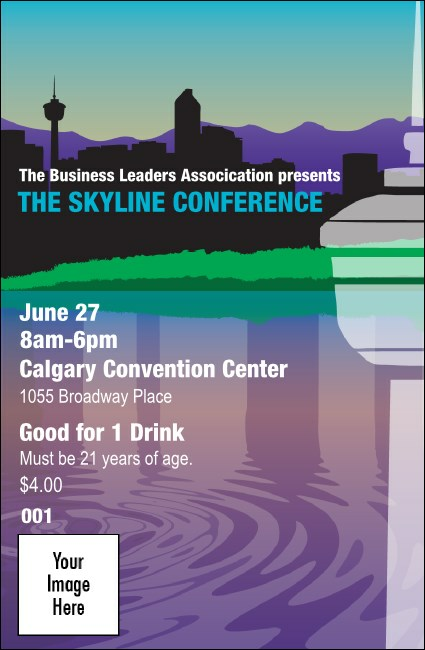 Get a taste of the Rockies with a Calgary Drink Ticket! With a refreshing view of the city in front of purple Canadian mountains in the background and a shadow of the Calgary Tower, this ticket template truly reflects the "heart of the new west". Reach the peak of your event goals with a matching Calgary Event Kit!